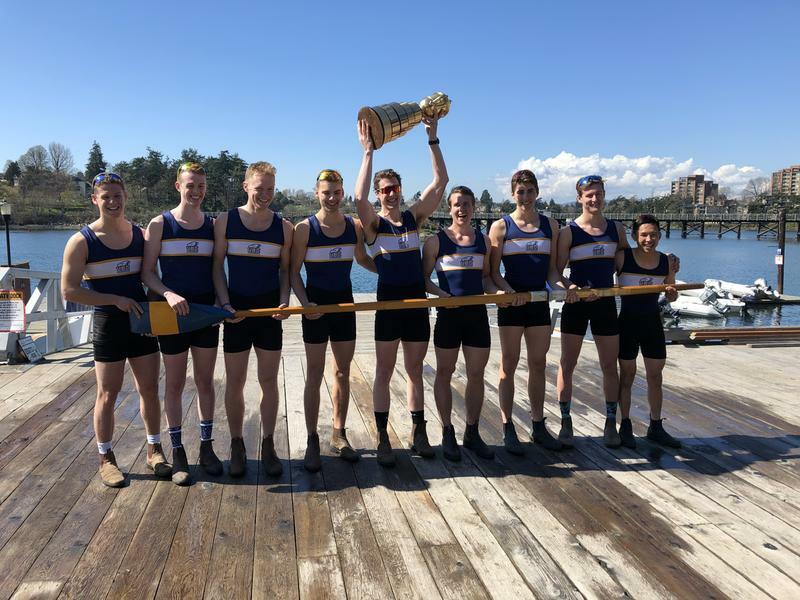 Going into the weekend, the University of Victoria Vikes were the historical favourites for the annual Brown Cup that features a head-to-head against UBC’s crews. That trend was broken on Saturday and Sunday. In the varsity men’s 8+ race, UBC was able to break UVic’s three year title run with a 7.13 second victory. The men’s roster has gone undefeated so far this season. The women’s 8+ weren’t so lucky, as they fell behind with a 9.1 second loss against their Victoria counterparts. That said, the reserve teams for UBC kept the good times rolling with a win in both the men’s and women’s events. The men’s side claimed their win with a time of 10:50.89, while the women finished in 12:11.34. Overall, that means UBC claimed three of a possible four wins over the weekend. In UBC’s home track meet and outdoor season opener, UBC athletes claimed several NAIA “A” standards to set them up for a trip to the championships in Alabama in May. Personal best javelin throws for Roan Allen at 68.64 in the men’s event and rookie Jv Patry-Smith who threw 43.96 in the women’s event. “A” standard times for Mikayla Tinkham, Enid Au and Sarah MacArthur in the 5,000 metre. Tinkham set the first time at 17:09.07. An “A” standard time for Kieran Lumb in the men’s 1,500 metre with a time of 3:45.86. National placings for Jessica Williams and Sienna Lalonde in the 400 metre hurdles. A 1.72 metre high jump mark for Trinity Hansma, which also sends her to Alabama. An “A” standard time for Alger Liang, Kenny Ho and Nathan Downey on the men’s side, and Joean Lu, Audrey Fox and Kyra Danielson on the women’s side, in the race walk. Back at home after a road trip last week, UBC softball faced Providence at Softball City on Friday and Saturday. Though they split their first double-header with a 3-1 win followed by a 5-6 loss, the team came back in a big way with a 12-4 win on Saturday morning and a close 6-5 win that afternoon to close out the weekend. Claire Eccles led the team’s 12-4 win on Saturday with three runs, followed closely by Taylore Jones who put up two runs in that game. Jones also put up two runs in Friday’s afternoon loss.